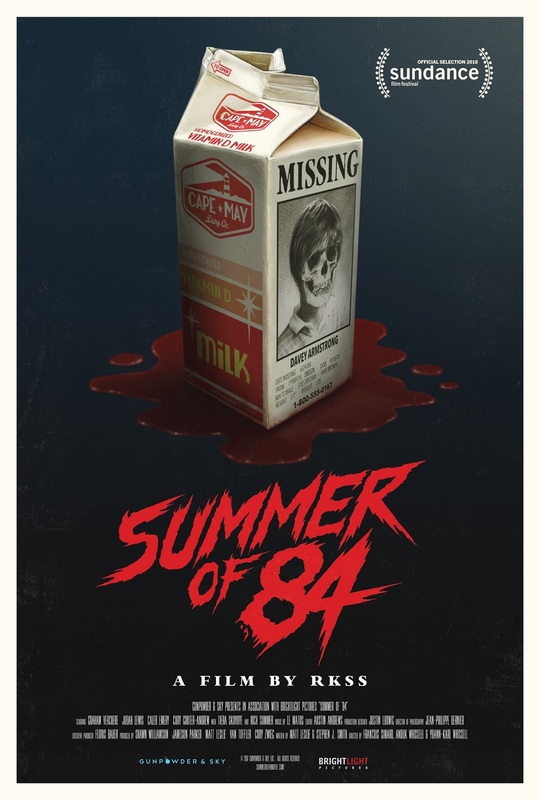 Check out the new clip for Summer of 84, that showed at SDCC. SUMMER OF 84 stars Graham Verchere (“Psych,” “Once Upon a Time"), Judah Lewis (The Babysitter, Demolition), Caleb Emery (Goosebumps, “Dear White People"), Cory Grüter-Andrew (“Fargo,” “The 100"), Tiera Skovbye (“Riverdale,” “Once Upon a Time"), and Rich Sommer (“GLOW,” “Mad Men"). The film is directed by the Montreal filmmaking collective RKSS (Turbo Kid) which consists of François Simard and brother & sister Anouk Whissell and Yoann-Karl Whissell, from a script by Matt Leslie and Stephen J. Smith. Summer, 1984: The perfect time to be 15 years old and care free. But when neighborhood conspiracy theorist Davey Armstrong begins to suspect his police officer neighbor might be the serial killer all over the local news, he and his three best friends begin an investigation that soon turns dangerous.